Many of us spend our entire life looking forward to the day we can retire. Yet one Blackburn couple are doing just the opposite by fostering children to give them a loving and stable home. At the age of 70, retired caretaker Frank Tomlinson and his wife Bernie, could well be forgiven for wanting to put their feet-up and enjoy a slower-paced retired lifestyle. 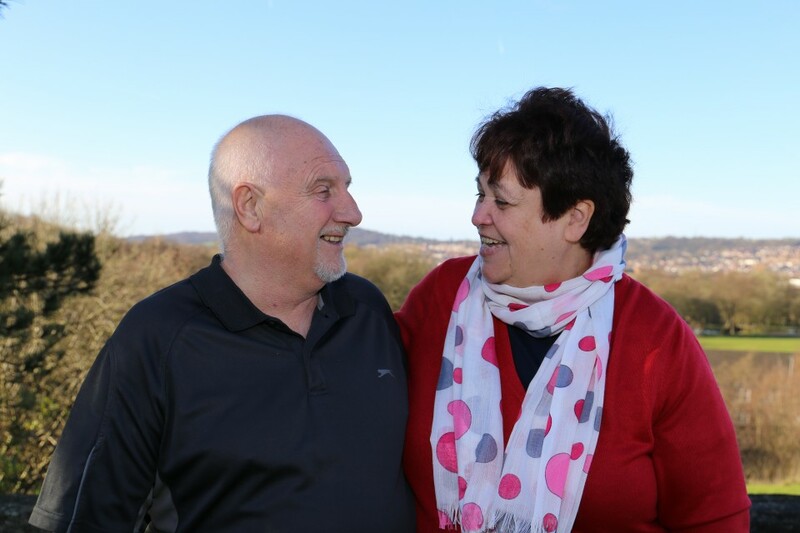 And whilst becoming ‘empty nest’ foster carers certainly isn’t without its stresses, Bernie says it has quite simply transformed their lives. The inspiring couple are currently caring for a seven-month-old baby, her four-year-old sister and a 15-year-old boy. Their level of commitment is clear to see. Whilst feeding and comforting the red-cheeked teething baby, Bernie was juggling speaking to The Shuttle and making arrangements for husband Frank to collect their four-year-old granddaughter from nursery. “I honestly think it’s the best thing we’ve ever done,’ says Bernie, who has four children of her own and 10 grandchildren. ‘It makes us feel young and has definitely brought us closer together as a couple. For Bernie it was a natural thing to do, having spent her earlier career working as a childminder, she was asked to look after a child in foster care whilst the child’s grandmother continued to work. “I’ve always fancied it and it didn’t take long to convince Frank either,” Bernie recalled. The couple have been fostering for 15 years and have looked after almost 40 babies, toddlers and teenagers. “There’s never a dull moment in this house,” said Frank, who spent 20 years working at Blackburn College. “It definitely keeps you busy, active and your brain working that’s for sure. There are many different types of fostering, from providing part-time respite care to full-time fostering arrangements. “We are truly thankful to Bernie and Frank and to all of our wonderful foster carers for looking after and supporting our most vulnerable children,” said Jayne Ivory, Director of Children’s Services. “There’s a lot of myths around fostering – some people assume they need experience of parenting or caring for vulnerable children, have to be married or own their own home – none of which is true,” she added. There’s a need for all types of foster carers – particularly for teenagers, sibling groups and disabled children, but recently the Council’s seen an increase the number of babies needing carers. “We need to recruit an extra 20 foster carers over the next twelve months,” added Jayne. There are many different types of fostering, including long-term fostering until a child is 21. Others may prefer the idea of shorter-term care, including short-breaks care, emergency care (where you might get a call in the middle of the night because of a home alone situation) or short-term care (where a single parent might need to go into hospital or someone might be waiting to be adopted). You can also specialise, for example in neonatal care, children with disabilities or mother and baby placements. Approved foster carers receive a generous allowance, full training package and ongoing support is provided with a strong foster carer network to share experiences with. If you are interested in finding out more, an informal information evening is being held on Wednesday 10 April from 5.30pm – 7pm at Blackburn Sport and Leisure Centre.